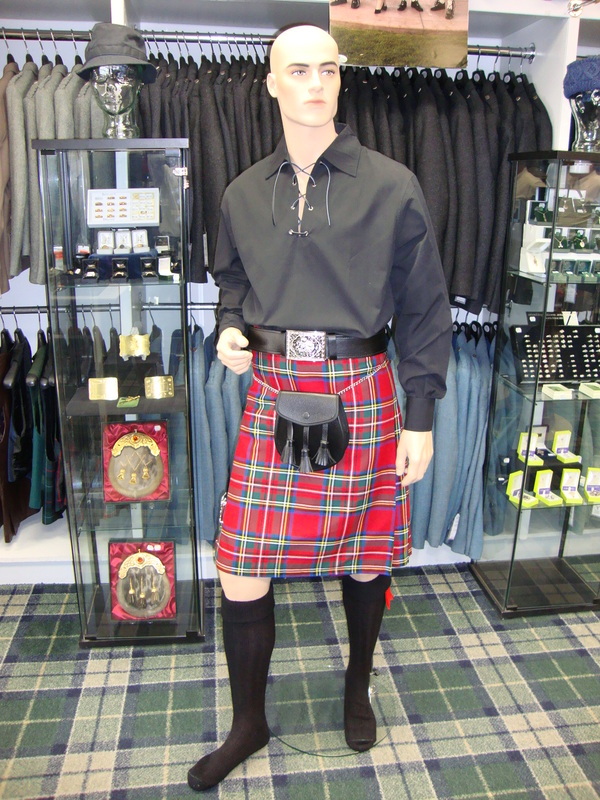 8Yd Street Kilt (Royal Stewart, Black Stewart, Scottish National, Black Watch & Plain Black). Ghillie Shirt (Colour selection available). 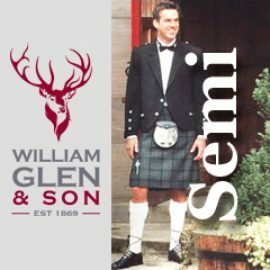 Kilt Pin (William Glen Stag). Flashes & Garter (Red,Green or Blue). 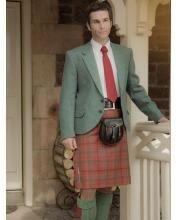 Categories: Highland Dress, Package Deals, Casual Wear. 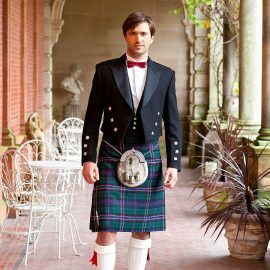 Includes: 8Yd Street Kilt (Royal Stewart, Black Stewart, Scottish National, Black Watch & Plain Black). Ghillie Shirt (Colour selection available). Belt & Buckle. Day Sporran & Strap. 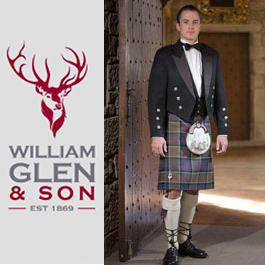 Kilt Pin (William Glen Stag). Hose (Cream,Black or Charcoal). Flashes & Garter (Red,Green or Blue).